The astronaut Samantha Cristoforetti, protagonist of the missione Futura of the Italian Space Agency, on the occasion of the publication of her new book “Diario di un’apprendista astronauta”, will present her professional and human experience, the long journey that took her to the International Space Station. The proceeds will be entirely given to UNICEF Italia by the author. “When the racket engines were started up, I fulfilled the biggest dream of my life.” For almost 7 months Samantha Cristoforetti has been into orbit around the Earth on the International Space Station. In her book “Diario di un’apprendista astronauta” (Diary of an apprentice astronaut), she tells the busy life on board, with the amazed eyes of who becomes, day after day, a space human being: from science to repairing the toilet, from the arrival of cargo spacecrafts to walks in the space with the colleagues, from alarms to routine, from big events to little discoveries, from rites to cutting hair. The journey which took her up there was long. Years of absolute dedication from her childhood dream, years spent with suitcases in the hand through three continents, through occasional meetings and strongly wanted encounters, through languages and cultures, nature and technology, efforts and long waits, joys and sorrows: all in order to learn how to become an astronaut. 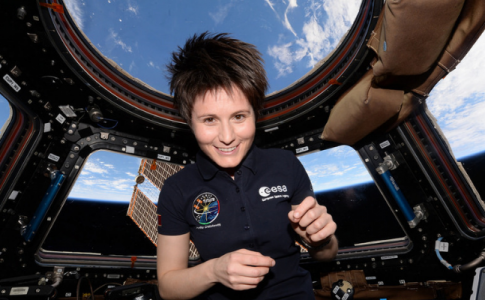 Samantha Cristoforetti will tell the story of the long journey, which took her to the launching pad and the days she spent on board the Space Station. Samantha Cristoforetti was born in Milan in 1977 and she grew up in Malé (Trento). She got the master’s degree in Mechanical and Aerospsace Engineering at the Technical University of Munich, after an Erasmus in Toulouse and an year in Moscow, for the research thesis. From 2001 she attended the Accademia Areonautica (the Italian Air Force Academy), getting a degree in aeronautical science. She got the licence of military pilot in the US and then she was allocated in the 51° Storno di Istrana, on a AM-X aircraft. She is officer of the Areonautica Militare, with the rank of captain. In 2009 she entered the Astronaut Corps of the European Space Agency and in 2012 she was detailed to the Expedition 42/43 on the International Space Station, a long-term mission at the disposal of the Italian Space Agency. The launching of the spacecraft Soyuz took place on 23rd November 2014 from the cosmodrome Baikonur, in Kazakhstan. Samantha spent 200 days in space, sharing her experience trough her logbook and on Twitter (@Astrosamantha). The meeting is organized by the Politecnico di Torino and Unione Industriale di Torino, in collaboration with ASI, ESA and the publishing house La nave di Teseo. Moderator: Michele Bellone, scientific journalist. Reserved seats in the Aula Magna are sold out, but you can follow the event in the adjacent rooms (Aula 3, Aula 5) and in streaming on Facebook. The academic year starts again for the Istituto Universitario Salesiano Torino Rebaudengo. The university has always promoted and managed, besides academic courses, training and guidance activities by organizing thematic events. To keep informed visit News e Eventi on the website IUSTO. When: Saturday 22nd September, from 9 am to 1 pm. Where: Istituto Universitario Salesiano Torino Rebaudengo – IUSTO. Piazza Conti di Rebaudengo, 22 Torino. How to act, risks that must be avoided, new opportunities for our kids. This event has been organized together with the Associazione Centro Studi di informatica Giuridica di Ivrea Torino (Csig Ivrea Torino) and it is addressed to teachers, school directors, lawyers, parents and university students. Everyone can participate. Among the participants there will be Senator Elena Ferrara, first signee of the law to protect minors and for the prevention and contrast against cyberbullying. The event has been credited by the Consiglio dell’Ordine degli Avvocati di Torino for constant professional training. 2 credits will be credited. Free entry if previously confirmed online. You will find further information and the accurate program of the event here. Poster Cyberbullismo, ragazzi al centro. When: the course starts with a conference on 5th October, from 9am to 1pm, “Orientare ed educare i giovani alla politica”. It will then go on for three/four Thursdays per month until December, from 4pm to 6pm. The conference of 5th October , “Orientare ed educare i giovani alla politica” will be free and everyone can participate. The following events cost €60 for all ten lessons, € 50 for IUSTO students, university students or ex IUSTO students, or € 10 for the single lesson. Under many activities, IUSTO wants to offer its students, and also other young people of Turin, a space for the understanding of politics. In fact, it is quite common to see how not only don’t the latest generations commit in politics, but they also detach themselves from the political commitment in the city and for the city. This is the reason why it has been decided to hold ten events for university students, starting from October till December 2018. Every event will last two hours and they will be on key concepts of politics, such as: revolution, conservatism, reaction, resurgence; freedom, authority, power; State, religion and civil religion; ideology and reality; science and politics beyond positivism, masses and ruling classes; Europe and nations; change and progress; information and manipulation. In short an actual course on the basis of politics. All participants have to be confirmed online. You will find further information and the accurate program with the dates of the lessons here. 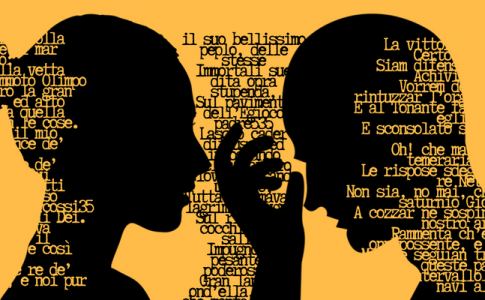 Poster Corso di formazione politica – Per una trasformAzione Sociale. Poster Orientare ed educare i giovani al lavoro e alla politica. The Il NeuroPsicoTOFest begins with three days (June 27, 28 and 29, 2018) dedicated to neuroscience. The main actor of the festival will be the Department of Neuroscience( Dipartimento di Neuroscienze), centre for excellence of the Università di Torino, named after Rita Levi Montalcini, great scientist from Turin who took her first career steps in these buildings. Founded in 2012, the department has a multi-disciplinary approach, aimed to join different academic, clinical and biomedical traditions in the study of the nervous system. At Palazzo degli Istituti Anatomici in corso Massimo D’Azeglio, 52, which houses the Museo Lombroso, di Anatomia e della Frutta, researchers will present the results they obtained and future aspirations of studies carried out until now. During the conference, Turin’s science history will be remembered, as well as its main representants: Carlo Giacomini, Giuseppe Levi and Rita Levi Montalcini. New methods of multidisciplinary analysis, between Neuroscience and Psychology, will also be examined: from non-invasive brain stimulation, to the study of brain mechanisms of traumatic memories, and the subject of Neurodegeneration. We advise you to register your participation by filling out the form. The convention: Digital Education: a new paradigm for the future challenges that took place in April in the Auditorium Cavallerizza Reale of the University of Turin emphasised the potential of Storytelling. In the age of Big Data, the narration has been rediscovered as important means for organising the chaos, the big numbers and the large amount of information that we find on the Web… but not only. In fact, the narration becomes fundamental also in the fields of public health and education. The Storytelling, a British term that means both narrative and narration understood as act of telling a story, emerges in today’s world with a new vitality, even if it has very long-standing roots: since ancient times, narration has been the instrument through which humankind structured reality. It has always been the most practical, socially adaptable, immediate and direct form to structure human experience. The novel and the short story offer what is not visible for essays and academic writings, they expand the kingdom of what can be told, they dive in particulars but at the same time they underline the universality of some human condition. The Digital Storytelling, the digitalised form of the short story that combines the potentialities of the digital medium with the value of narrative, applies today to many disciplines: creative writing, sociology, psychology and medicine. 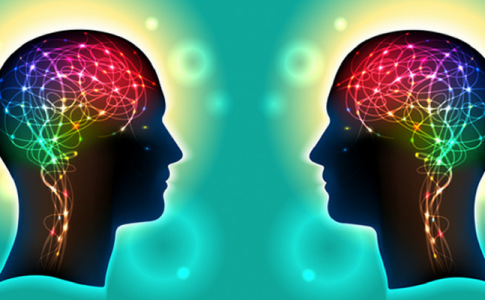 One of the assets of the DS, in fact, is the ability to involve both at cognitive and emotional level. 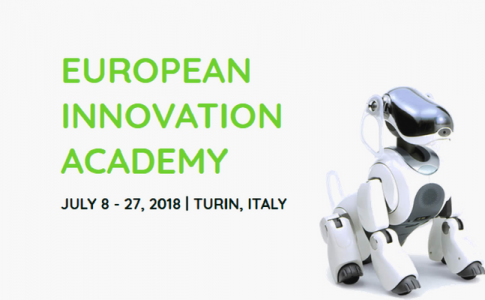 On the occasion of the convention Digital Education: a new paradigm for the future challenges and of the workshop leaded by Barbara Bruschi and Vincenzo Alatra, these particular abilities of Digital Storytelling have been discussed. The digital narration becomes a new instrument for those who operate in the field of Public Health and Education. Barbara Bruschi , professor for Education and Learning technologies at the University of Turin underlined that narration, integrated with the use of voice, pictures and an audio support, are particularly important in the treatment of a patient. In fact, Digital Storytelling allows to highlight one’s fears, by showing them to the other and to oneself. Benefits deriving from Digital Storytelling are not limited to patients but involve also health workers and educators. As Bruschi explains: “With 15 educators from the education services of the City of Turin we gave a new sense of the educational profession. People that had completely forgotten 40 years of professional life could find again the dimension of professional resistance also thanks to the pictures”. From Friday, 6th to Sunday, 8th April 2018 the Festival of Psychology, that reached already the fourth edition, will take place once again here in Turin. The Festival, organized by the Psychologists Association of Piedmont under the patronage of the Piedmont Region, the Regional Council of Piedmont, the University of Turin and the City of Turin, will have Massimo Recalcati as the leader of the scientific management. During the weekend of 7th and 8th April an international multidisciplinary Festival will take place in the Cavallerizza Reale of Turin, where psychologists, psychoanalysts, Italian and foreign writers and philosophers will be present and will talk about the theme: I am not afraid, the topic chosen for this edition. The program includes conferences, dialogues and shows that are all free of charge and have the aim of involving an heterogeneous audience of all ages, education and interests. 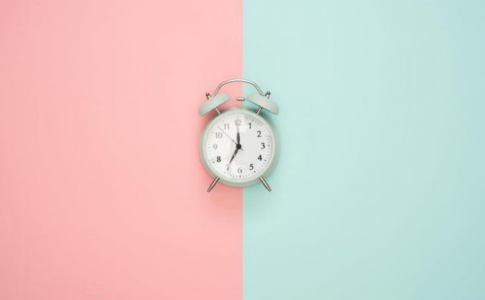 “Our time lives in a condition of stress in front of the anarchic and unpredictable terrorist violence” explains Massimo Recalcati “What are its origins? What are the ideologies and ghosts that nourisg the spirit of terrorism? How can one live without giving up life in this environment of insecurity? Are there ways to think individually and collectively about possible prevention of violence? At these and other questions about the daily work of psychologists will try to answer, in addition to psychoanalysts and psychotherapists, also professors, philosophers and writers”. 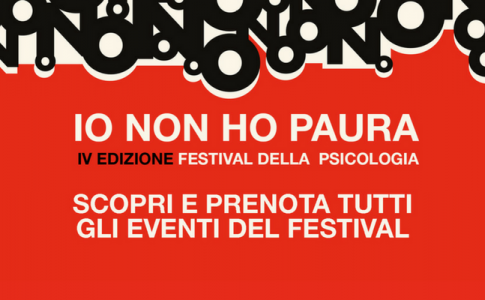 “The itinerary of the Festival of Psychology of Turin continues with this fourth edition,” adds Alessandro Lombardo, president of the Psychologists Association of Piedmont and director of the organization of the event “A festival that wants to bring psychology, and psychologists, closer and closer to people’s life. After talking, in the past editions, about happiness, trust and stories, this year we will talk about one of the darkest emotions of human soul: fear. As always, our goal is to find a way that will allow us to deal with the fears that we will have to face”. How can we prevent violence? 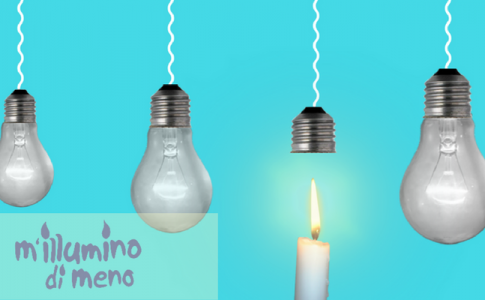 This year the Polytechnic of Turin will participate again at “M’illumino di meno”, the initiative of the broadcast of Radio Rai “Caterpillar” to promote the energy saving and the virtuous behaviours in the field of environmental sustainability, that has already reached the 14th edition. The two scheduled meetings are part of the actions promoted by the Green Team of the Polytechnic of Turin an organization born at the Polytechnic to promote activities of promotion of virtuous behaviours by the point of view of sustainability and to take a shared path of validation of the institute as a sustainable campus. On 22nd February the Green Team of the Polytechnic of Turin will promote the “Caccia al kWh”, a flash mob during which students and staff will turn off the lights after the time of use in the rooms of the headquarter of the University, but they will also close windows and doors that entail a waste of electricity or heat energy for heating: a symbolic act to show the right use of energy. The results of the campaign will be monitored live in the Living LAB, by measuring the reduction of energy consumption of the University. The event will end with a refreshment by candlelight for all the participants. This year the initiatives of “M’illumino di meno” are promoted in the field of the Rete delle Università per lo Sviluppo Sostenibile (RUS), that gathers together 55 Italian Universities. On 22nd February from 6pm to 9pm, the “Caccia al kWh” will take place simultaneously in different universities, in order to involve a bigger audience for the actions of research on the waste of energy in the headquarters of the universities. The main goal is to sensitise people of the universities towards an individual contribution that everyone of us can offer on the topic of energy-saving, becoming with little inattentions, that all together can have a significant impact on the energy consumption of the universities. At the end: refreshment by candlelight for all the participants in the atrium of the Sala Consiglio di Facoltà. On 23rd February the Green Team organizes the event “M’illumino con meno. Un anno dopo”, focused on the topic of energy efficiency in the lighting. A year ago, on the occasion of the “M’Illumino di meno 2017”, the Polytechnic had started an experimentation on the use of intelligent LED lighting with the involvement of some professionals of the sector. The conference will be the perfect opportunity to present the results of the campaigns carried out in the Living LAB, before and after the replacement operation. The data show significant savings, by highlighting the effect achieved with the addition of occupancy and light sensors. The experimentation carried out in some rooms of the headquarter (some offices, a hallway and a technical room) will give some useful information for the planning of more extended interventions in universities. The issue is topical for the Public Administration, also in relation to the offered possibilities of the current incentives. Chiara Aghemo | Energy Department “Galileo Ferraris”, Environmental and Technical Physicist . Rossella Taraglio, Gabriele Piccablotto | Architecture and Design Department , Laboratory of Analysis and Modelling of Environmental Systems (LAMSA). 11:40 M’illumino con meno: the point of view of operators. Round table discussion with the representatives of the industrial workers involved in the experimentation..
His spectacular adventures on the top of the world, from the summits of his beloved Cervino to Pakistan, China and Patagonia, have made him very famous. Hervé Barmasse, mountaineer but also writer, photographer and director (he debuted in 2015 with the book “La montagna dentro” and filmed the award-winning films “Linea Continua” and “Not so far away”) tells his challenges to the impossible, face to face with its limits, his fear and his friend, the mountain. Because mountaineering is adventure, passion, love, but also difficulty and risk: it’s the courage of man who puts own his life at stake. 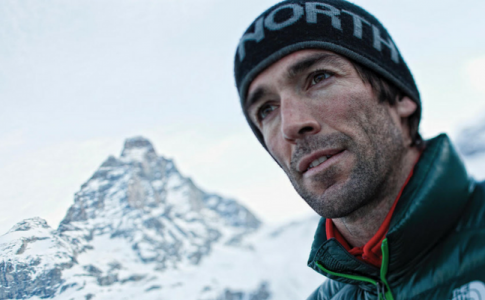 But the mountaineer “son of the Cervino” – guest on January 23rd of the NICO, the Institute of Neuroscience of the University of Turin – will also talk about a special challenge, the one with vertebromidollar pathology, won thanks to the progress of neurosurgery, exercise and willpower. Spinal cord injuries – due to road accidents, sports accidents or accidents at home – are a problem with a dramatic impact on public health, as they cause serious disabilities with serious social, welfare and economic repercussions. “One of the greatest challenges of research is to be able to stimulate the regeneration of injured nerve fibres through innovative experimental therapies“, says prof. Alessandro Vercelli, scientific director of NICO, the Institute of Neuroscience of the Cavalieri Ottolenghi Foundation – University of Turin. ” To face it at best, we decided to join forces, creating a research group that brings together complementary approaches: the clinical approach of the neurosurgeon with that of basic research, developed by developed by NICO’s anatomists and physiologists”. The new research group will be held by the Rector of the University of Turin and President of the Cavalieri Foundation Ottolenghi Gianmaria Ajani, Vice President of the Paolo Bertolino Foundation and Prof. Giancarlo Panzica, Director of the Department of Neuroscience “Rita Levi Montalcini”. The neurosurgeon Diego Garbossa (Director of the School of Specialization in Neurosurgery at the University of Turin – City of Health and Science of Turin) and the researchers Marina Boido and Annalisa Buffo (NICO – Department of Neuroscience) will explain to the public the transition from the clinical approach to basic research on spinal cord trauma and regeneration in the spinal cord. On Tuesday 23rd January at 11:00 a. m. at the Aula Magna of the Institute of Anatomy of the University (ground floor – Corso Massimo D’ Azeglio 52, Turin). Free entry until all available seats are available.